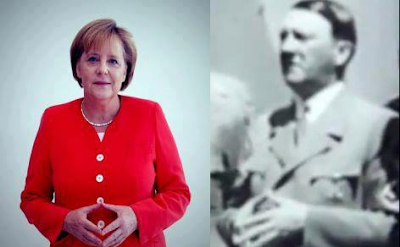 Is Angela Merkel Hitler's Daughter? 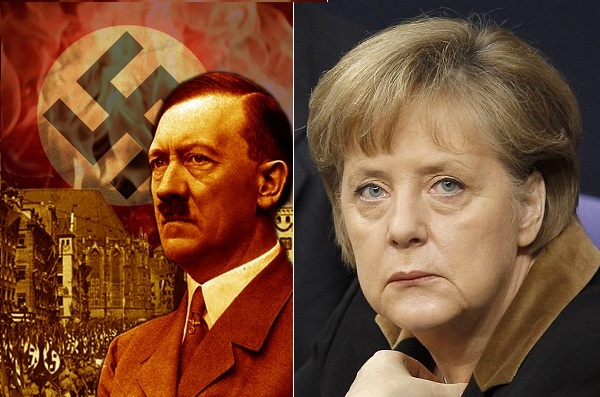 → Is Angela Merkel Hitler's Daughter? The Soviets were even more intrigued when they discovered Dr. Klauberg had preserved frozen samples of the sperm of Adolf Hitler. 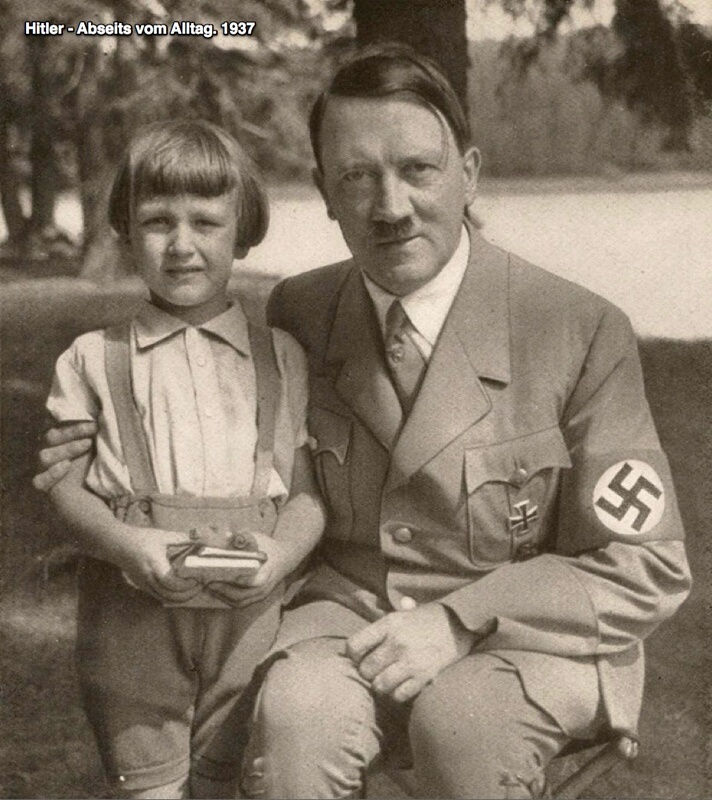 The forces of darkness in high places decided to try to produce a child from Hitler's sperm, obviously for occult and illuministic purposes. Dr. Klauberg then brought the youngest sister of Eva Braun (Hitler's wife), whose name was Gretl, to Eastern Germany, and the result of the experiment produced not a biological son of Hitler, but rather a daughter. Amazingly, Adolf Hitler was born on April 20th, 1889, and Angela Merkel was born on April 20th, 1954. (April 20th is 11 days before the witches' high sabat of Beltaine.) Angela became a custodian of the Catholic Church through its connections with the East German Lutheran Church. Once a German Pope would take the Roman throne, Angela Merkel was to also take her biological father's position as German Chancellor. On April 20th, 2005, the Nazi Joseph Ratzinger became Pope Benedict XVI, (16th), precisely on the 116th birthday of Adolf Hitler. Then on November 22nd, 2005, Hitler's biological daughter, Angela Merkel was elected Chancellor of Germany. The day of that election, November 22nd, was the anniversary of the publication of Charles Darwin's Origin of the Species, which is an antichrist publication denying the Creator of the universe. If the Soviet record is true, and the evidence is strong, it opens up some amazing possibilities. The undeniable fact is that Angela Merkel came from obscurity to triumviral power as German Chancellor, President of the European Union, and head of the powerful G-8 economic cartel. When I began to do further research on this, I discovered that Hitler's father, who took the name Hitler, was the illegitimate son of a Rothschild mistress whose last name was Schicklgruber. The etymology of the name Hitler reveals that the name means a shepherd who lives in a hut. The name Adolf from Old High German means noble wolf. Thus, his combined name indicates that he was the Shepherd Wolf, or false shepherd. Strangely enough, Pope Ratzinger, or Benedict XVI, also has the title of Shepherd of the Church, and since he took office, the Roman Catholic Church has had a German shepherd. Incidentally, that breed of dog resembles a wolf. We also know that Adolf Hitler nicknamed himself Herr Wolf. His East Prussian headquarters was called Wolfsschanze; his headquarters in France was called Wolfsschlucht, and his headquarters in the Ukraine was called Werwolf. Will the powerful European Union become the New World Order and Fourth Reich? Only God knows. 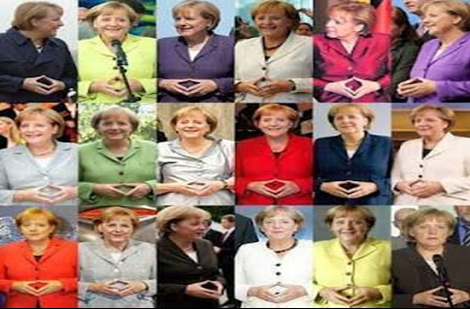 One more interesting point is that Chancellor Angela Merkel has an unusual obsession with the works of the occult composer Richard Wagner, who was a Satanist. She made her obsession known in an interview with the newspaper Frankfurter Allgemeine Zeitung in July 2005. Wagner wrote the infamous composition called Parsifal, which is purely occult and demonic. Parsifal was a favorite of Adolf Hitler as well, and Hitler stated that the music of Wagner occupied his mind. Angela Merkel, like Adolf Hitler, is deeply fascinated with Wagner's Ride of the Valkyries. The valkyries were minor female deities that would ride through every battle to gather the most valiant of the slain and carry them off to a place called Valhalla where they would wait to join the army of Odin in the last battle at the end of the world. 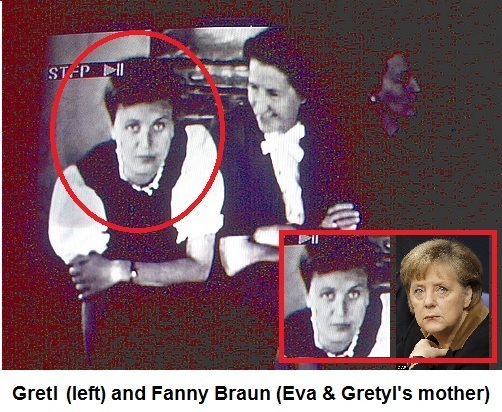 RE: Is Angela Merkel Hitler's Daughter? Nice info Redneck. Off topic a little but has anyone seen the 2007 Academy Award winning film for best Foreign Language film "The lifes of other"("Das Leben der Anderen") about the Stasi (East German Secret Police.) It's An amazing film dealing with the GDR's secret Police, Their techniques of surveilance and interrogation(made the NSA and CIA seem like a George Zimmerman Neighborhood watch) and how it had an effect on everyday citizens. ^ one of the coolest films I've ever seen. Lives of others is highly recommended. (01-05-2014 09:17 AM)EVILYOSHIDA Wrote: ^ one of the coolest films I've ever seen. That why I love Ya Evil. You never cease to amaze me. Amazing taste in music, film(basically a savant in all fields of arts) high standards and fine tastes in women/food, you live life by a code of honor, and you have an aura and Budo about you that even scientists can't explain and will be studied at Universities for generations. haha. but seriously. people should watch that film. It's one of those films that will make you think. and it's... available for free on YOUTUBE lol. it's kind of sad that everything is so easily accessible these days. when you can watch for free.. people kind of put it off or dont' watch it as intently. i saw this film in the theatre. Sorry I got a little busy but I cant believe you found and know this film... Amazing! i try to keep up with good stuff. So I scan through new projects/films etc. and look for things that will last and are not trivial. Mods can you give what a three day time out for trolling/ posting NSFW pornographic pictures that are not only not Fap worthy but just got me in trouble at Arby's. Seen Run Lola Run. Was a good film. Good soundtrack as well.